Thomas Hill was born to Thomas Hill (1771-1828) and his second wife, Henrietta (Barker) Hill (1774-1824) on 7 June, 1818, in New Brunswick, New Jersey. Hill's father had emigrated to the United States from England in 1791 for religious reasons. In his new country, he began as a farmer, started a business as a tanner, and served as a judge on the court of common pleas. A lover of nature, Hill's father taught his children (Thomas had 3 brothers and 5 sisters, and he was the youngest) the scientific names of plants and encouraged an interest in the natural sciences. Hill's mother died in 1824 and his father died in 1828, thus he became an orphan by the time he was ten years old. Hill had little formal schooling in his early years, but his mother and sisters taught him to read and cipher. A keen observer with a retentive memory, Hill was a constant and wide reader. He developed an early interest in botany, science, philosophy and mathematics. By the time he was twelve years old, Hill had read the works of Benjamin Franklin and Erasmus Darwin. Hill served as an apprentice in a newspaper office from 1830 to 1833. In 1834 he studied under his eldest brother at Lower Dublin Academy in Holmesburg, Pennsylvania. Although he was interested in civil engineering, Hill became an apprentice to an apothecary in his home place, serving in this capacity until 1838. Hill entered Harvard University in 1838 and received his Bachelor of Arts degree in 1843. In college, Hill distinguished himself in mathematics and invented an instrument for calculating eclipses and occultations, for which he was awarded the Scott Medal from the Franklin Institute. He also published a little book of poems entitled Christmas and Poems on Slavery, dedicated to Eliza Lee Follen, who was active in the anti-slavery movement. In 1845, Hill received his divinity degree from the Harvard Divinity School and entered the ministry for 14 years. Hill served at the First Church of Waltham, Massachusetts from 1845 to 1859. It was during this time that Hill established his reputation, not only as a man of God, but also as a scientist, educator and writer. 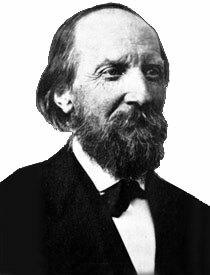 In the next few years, Hill published First Lessons in Geometry (1855), a mathematical textbook, Geometry and Faith (1849), a book describing the essence of Hill's religious doctrine, and several papers on mathematics and astronomy for the American Association for the Advancement of Science. In 1857, he wrote an article about astronomy for the new Appleton's Encyclopedia. A popular speaker, Hill gave the Phi Beta Kappa oration at Harvard University in 1858 and presented a series of Lowell Institute lectures on the Mutual Relation of the Sciences in 1859. On November 27, 1845, in Waltham, Cheshire, Thomas Hill married to Anne Foster Bellows (1817-1864). The couple had 6 children—Mary Bellows (1846-1911), Henry Barker (1849-1903), Katherine (1851-1926), Elizabeth Joy (1854), Anne Bellows (1857) and Thomas Roby (1864-1923) (the nearby image pictures Thomas Hill with his son Henry and his grandson). In 1857 Hill obtained a patent for a calculating machine (the calculating machine of Hill). During his final years in Waltham, Hill served on the Waltham School Committee and was constantly encouraging and promoting new ideas and methods of instruction, including the introduction of phonetic spelling in the public schools. In 1859, Hill accepted the presidency of Antioch College in Yellow Springs, Ohio. Hill's appointment was ill-timed, however, as the American Civil War forced the college to close in 1862. That same year Cornelius Conway Felton, the President of Harvard University, died suddenly, and Hill was asked to succeed him. Returning to Harvard University, Hill had high hopes for the future and brought about a number of changes. Under his administration, the undergraduate curriculum adopted an elective system, permitting student choice in selecting courses. The standards for admission were raised, an Academic Council made up of the faculties of the college and professional schools was established, scholarships for the support of graduate students were endowed, a program of University Lecturers was introduced, and new chairs for professorships in geology and mining were founded. Despite these apparent successes, Hill's years at Harvard were not happy. He had difficulty in his dealings with faculty and in governing the University. In addition, his first wife, Ann, died while he was in office and his second wife, Lucy (Hill married to Lucy Elizabeth Shepard (1837-1869) on July 23, 1866. They had one son, Otis Shepard Hill (born 1868), suffered from an incurable illness. Hill's experience with his own physical problems at this time also contributed to his unhappiness. Tired and overwhelmed both personally and professionally, Hill resigned his office in 1868. 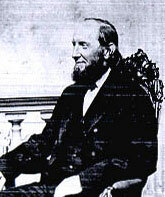 After the death of his wife Lucy in 1869, Hill spent a year resting and traveling. In 1871 he was elected to the Massachusetts state legislature from Waltham and served for one year. In 1872, Hill sailed with his friend Louis Agassiz on an expedition to South America. Returning to the ministry in 1873, Hill accepted a position at the First Church in Portland, Maine. For the next eighteen years, Hill was happy spending his time preaching, writing, lecturing, and pursuing scientific and educational experiments. 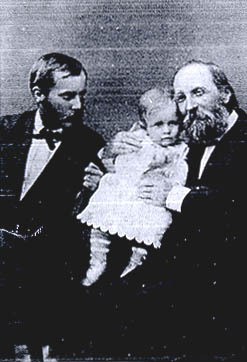 In 1891, Hill became ill, suffered for several months, and died in Waltham, Massachusetts.